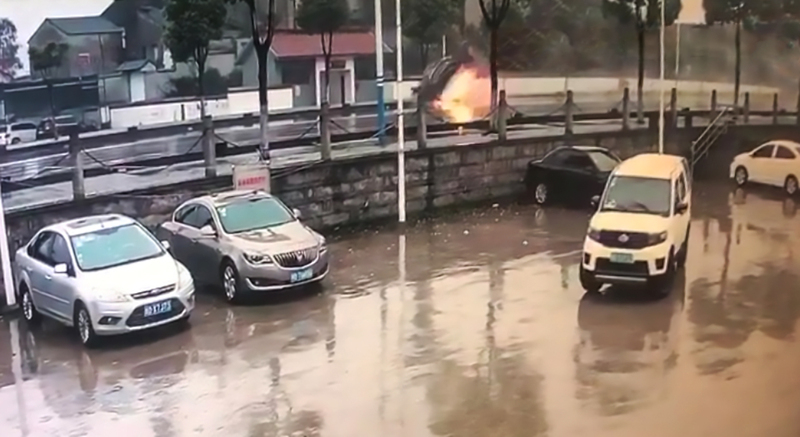 This is the moment a speeding BMW is sent flipping through the air as it erupts into a huge fireball in a startling crash. 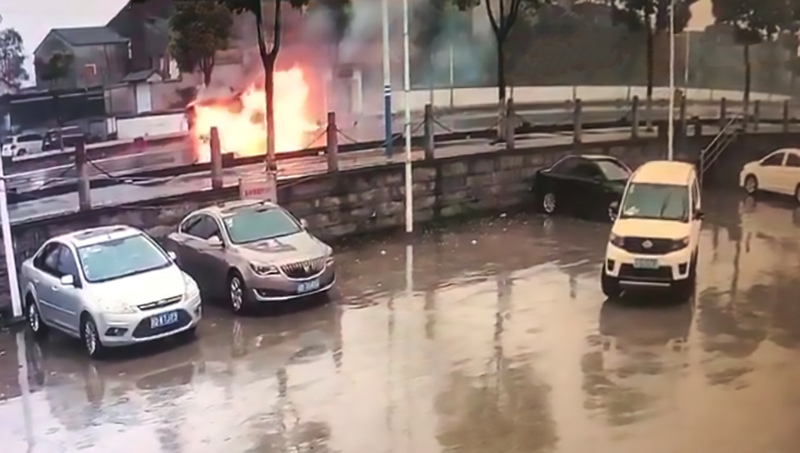 The accident happened in the city of Shaoxing in China’s eastern Zhejiang Province outside the Sixth People’s Hospital. 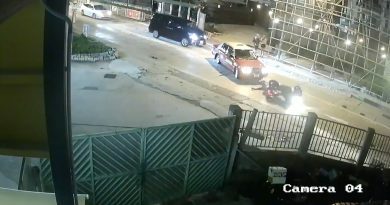 Traffic camera footage of the crash on 28th March shows the speeding BMW appearing to skid out of control as an electric scooter rides towards it. 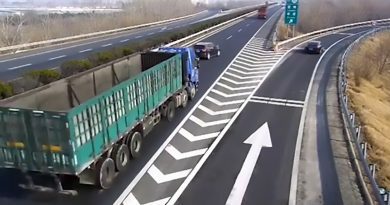 The vehicle avoids the rider and slides backwards into the central crash barriers, with the impact launching the car into the air and seemingly igniting its petrol tank. 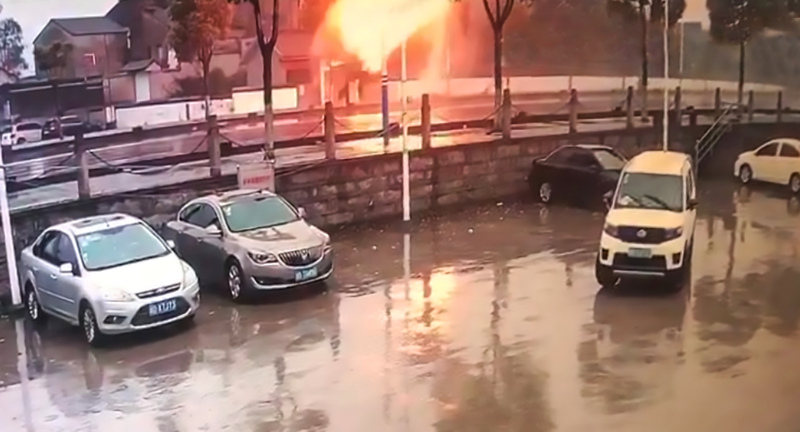 The spark turns the car into a massive fireball as it lands on its roof and then flips back onto its wheels again. 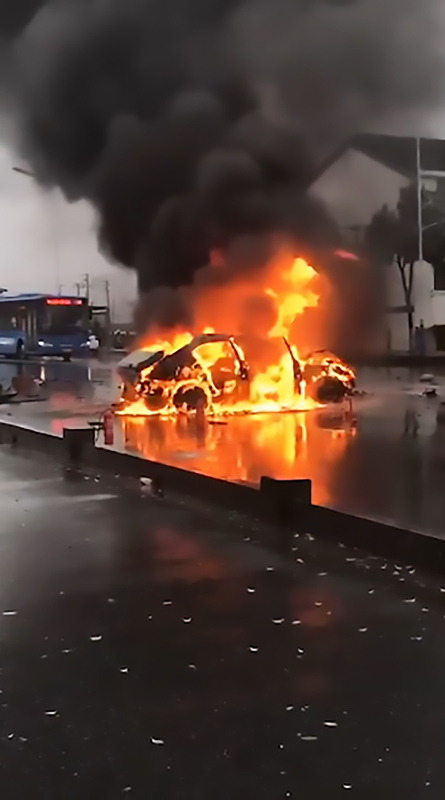 Video taken by witnesses shows the entire vehicle engulfed in flames and later reduced to a charred shell after the fire is put out. 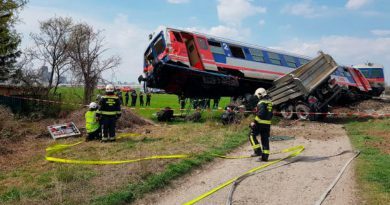 According to reports, witnesses attempted to free the occupants but were repelled by the flames. 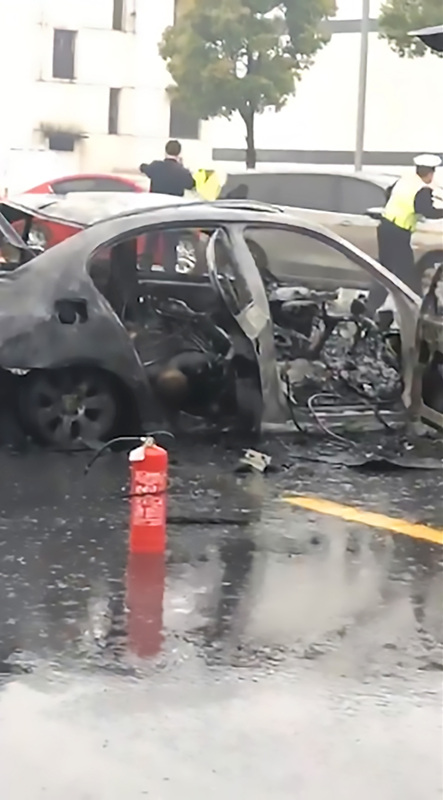 Shaoxing traffic police confirmed two people were found dead inside the BMW, but their identities are still being investigated.